Not too long ago, cryptocurrencies were not only dismissed by various businessmen and financial analysts, but they were also very much the joke of various individuals. However, crypto business was no joke for a couple of brilliant and future-focused individuals who, at the time of this writing, are millionaires/billionaires. 2017 was a massive turning point for the crypto world, and it brought with it an incredible increase in trading volume, as well as the meteoric rise of Bitcoin’s price (reaching an all-time high of around $19,535 in December) as well as other exciting innovations. The crypto business has evolved so much that, according to Fortune, one of the most prestigious publications with a focus on the world of finance, 5 of the “40 below 40” wealthiest millionaires in 2018 are directly related to the world of crypto. With fame only rivaled by the mysterious Satoshi Nakamoto, Vitalik Buterin is a name so famous in the crypto-sphere that it shouldn’t require any sort of introduction. For those who don’t know, Vitalik Buterin is the creator of Ethereum, the second most valuable cryptocurrency on the planet. Bitcoin craze started to kick in, Buterin founded a magazine about Bitcoin and crypto. He started attending the University of Waterloo after receiving the Tiel Fellowship ($100,000 educational grant), but soon dropped out to work on more important matters, namely building Ethereum. Currently, the 24-year-old Vitalik Buterin has an estimated crypto net worth of somewhere between $400-$500 million, making him the youngest crypto-billionaire, and the only one under 30 years old. Charles Hoskinson is yet another crypto-famous individual with an interesting story behind his success. Back in 2013, he abruptly decided to quit consulting and started the online school called “the Bitcoin Education Project.” That is how he met Buterin and, alongside the other six members, they developed Ethereum. Charles left the project over various creative differences and moved on to start IOHK. Hoskinson is also the founder of Cardano, a project into which he puts in a lot of work. At the age of 30, his estimated crypto worth is somewhere around $500-600 million. Brendan started his business career by selling weapons and houses in the World of Warcraft ecosystem. When his company, Gamecliff, was acquired by IGE, he moved to Hong Kong to run operations. In 2007, he made headlines with the creation of a company that focused on selling in-game avatars which resulted in profits of over $1 million a month. Brendan Blumer is now the CEO of Block One, and his estimated crypto net worth is of about $600-$700 million. Vlad Tenev (31 years old) and Baiju Bhatt (33 years old) are next on our list of Most Famous Crypto-Billionaires Under 40 Years of Age. The two created Robinhood, a different type of exchange that allowed users to purchase and sell stock with zero-fees. The exchange soon became one of the most popular out there, and currently has a valuation of approximately $5,6 billion. 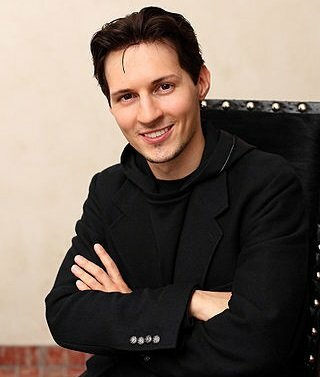 The story of how Pavel Durov (33 years old) became a millionaire started with the founding of Vkontakte (VK.com), a Facebook clone that became extremely successful in Russia and Eastern Europe. In fact, the platform was so successful that it displaced Facebook as the number 1 social network in that particular region. Pavel later sold the company due to political pressures from Kremlin and moved on to start Telegram, WhatsApp’s primary competitor. The company managed to raise $1,7 billion in a private deal to start Telegram Open Network. At the age of 35, Dan Larimer’s crypto net worth is somewhere around $600-$700 million. The road to success was not easy for Dan Larimer. Back in 2007, he decided that he doesn’t want to create weapons (one of his former jobs) and that what he really wants is to create systems that could help improve life. The computer programmer is known for creating the crypto exchange called BitShares, as well as for the creation of Steemit, a blockchain-based social network. Also noteworthy is the fact that he is the CTO of the cryptocurrency startup Block One. Brian Armstrong is the CEO of Coinbase and one of the wealthiest people on our list with an estimated crypto net worth of $900 million – $1,1 Billion. Currently 35 years old, Armstrong was one of the first believers in cryptocurrency and didn’t hesitate to create Coinbase with headquarters in San Francisco back in 2012 when everyone doubted crypto’s potential. Nowadays, Coinbase is one of the few exchanges that comply with all the regulatory parameters required to run in the North American continent. Probably the most famous twins within the crypto-sphere, they became famous in 2013, when they took a $65 million settlement they got from a lawsuit with Mark Zuckerberg and invested it into Bitcoin. As history has it, their decision was a very successful one. The twins also own a New York-based cryptocurrency exchange called Gemini. Both Cameron and Tyler are currently 36 years old, and their estimated crypto worth is of around $1,1 billion. Song Chi-Hyung, age 38, has recently launched Upbit, which swiftly became the largest cryptocurrency exchange in South Korea. Song Chi-Hyung’s estimated crypto net worth is between $350-$500 million. Who is your favorite crypto millionaire/billionaire and why? Tell us more in the comments section below.